Showers should be relaxing and refreshing, but they will miss the mark if your shower has low water pressure. Any number of issues can cause water pressure problems. Fluctuating water pressure could be the result of something as disastrous as a leaky or cracked water pipe, or as simple as rust or mineral buildup. You may have to do a little bit of digging to get to the root of the problem, but you shouldn’t hold off for too long because things could—quite literally—blow up in your face. One cause of low water pressure that happens to be quite easy to fix is rust or mineral collections within your showerhead. This often happens in older homes that are still using galvanized iron pipes or homes that use water that is high in mineral content. If there is mineral accumulation in the showerhead, you can easily replace it or soak it in vinegar for a few hours. Rinse the showerhead thoroughly and use a toothbrush to make sure all of the gunk is banished. If that fixed the problem, you are in the clear, but if it didn’t, you might have a problem with mineral accumulation in the pipes themselves. If this is the case, there is nothing you can do about it except to install new pipes in your home, which could cost you a lot of money. Before you proceed with this large-scale task, check with an experienced plumber to find out if there are other options available. The water pressure in your showerhead will be low if there are leaking water pipes somewhere in the house. A water leak reduces the pressure in the rest of the plumbing system, which explains why the flow from your showerhead feels lethargic. Have a plumber check your water lines to find out where the leak is and have it fixed. After the leak has been repaired, you should notice water pressure similar to before the leak started. Your home water pressure regulator maintains pressure between 45 and 60 psi. If the showerhead pressure suddenly drops for no reason at all, there could be a problem with your pressure regulator device. If you experience this problem, go out and check your shut off valve to make sure that it is set to the “on” position. If it is mispositioned, even slightly, it will affect the water pressure in the house. You might experience low water pressure from your showerhead when you shower early in the morning or late at night. This is when most people in your neighborhood take showers, so if your pressure drops only during those times, you might want to find another time to shower. Your showerhead might be one of the old, low-flow showerheads. Since the first days of low-flow showers heads, significant improvements have been made. If one of these older models is installed in your shower, you probably don’t get as good of water pressure as you would from one of the newer models. A quick fix for this problem is to replace your older showerhead with a modern one. 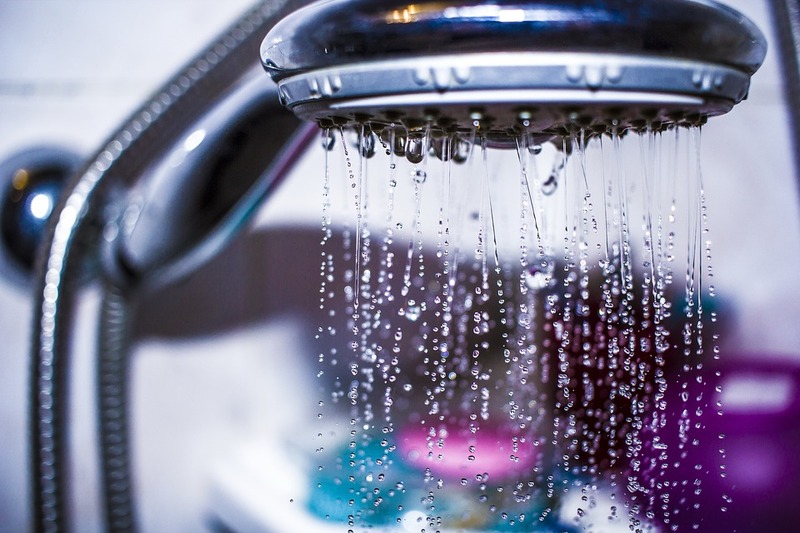 If you’re experiencing low water pressure in your shower, take a quick look around your house and property, and see if you can find the cause. If you’re still having trouble, consult with your local plumber to find the best solution for your low water pressure.